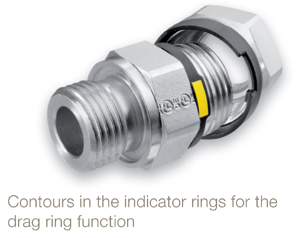 An industry first, EO-3 fittings feature a unique threading technology and indicator ring to make tube assembly outcome visibly discernable from the outside. 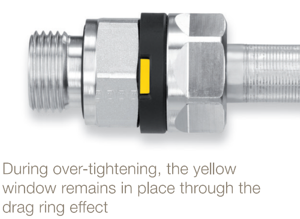 Eliminating leakage due to inadequate tightening, EO-3 flareless fittings boost reliability and safety, and minimize rework. Port assembly by “feel” is inadequate, leaving too much room for costly and dangerous errors. Many times these errors are not discovered until final inspection or delivery. The EO-3 fitting system provides clear tube assembly status with visual recognition. 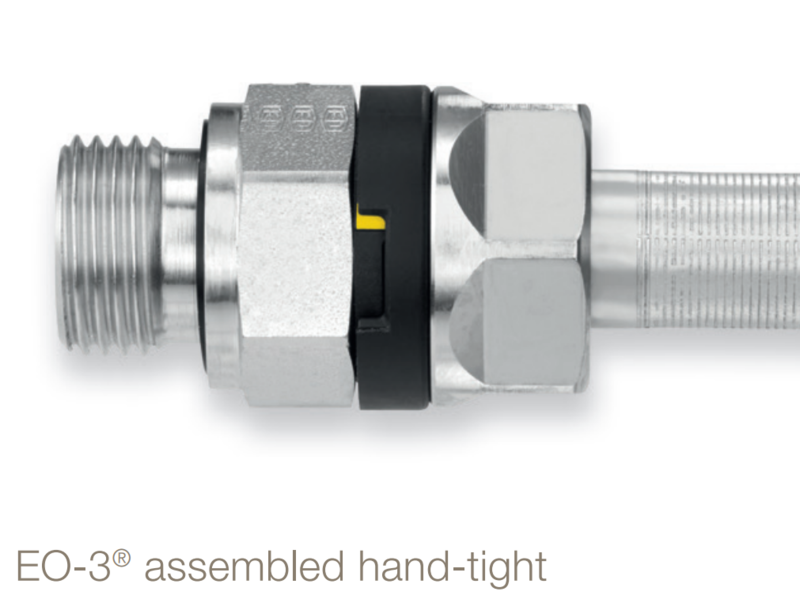 This puts the user in control of making high-precision, high-quality connections fast. 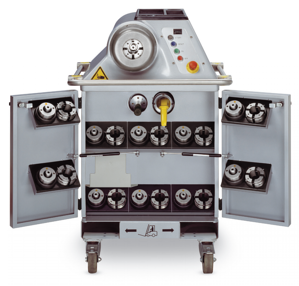 Form the new EO-3 connections with the proven F3 WorkCenter, a fully automatic machine featuring high performance hydraulic drive and robust forming tools. 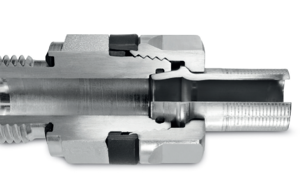 When contructed using the F3 WorkCenter, EO-3 tube ends provide a fast, consistent and reliable method of tube preparation. In fact, compared to typical DIN 2353 cutting ring designs, the EO-3 end-forming process helps prevent tube failure due to incorrect presetting.